Effect: This card can attack twice during each Battle Phase. 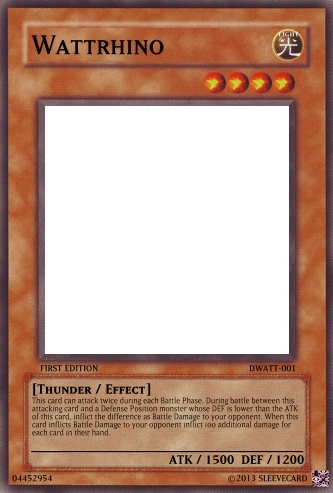 During battle between this attacking card and a Defense Position monster whose DEF is lower than the ATK of this card, inflict the difference as Battle Damage to your opponent. When this card inflicts Battle Damage to your opponent inflict 100 additional damage for each card in their hand.